This is a classic Christmas flower up north where I’m from. Very beautiful and great pictures! These remind me of film photography – there’s a certain softness and warmth that’s really nice here. 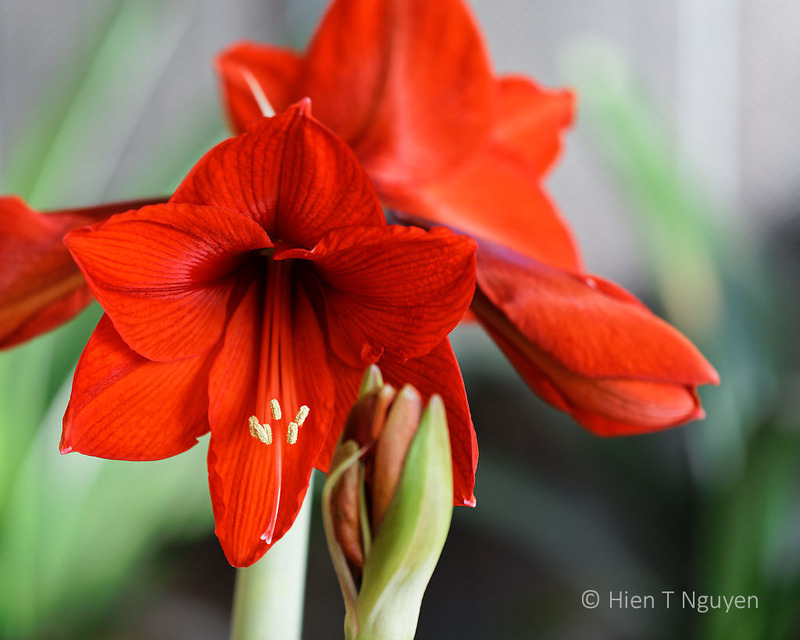 Enjoy the amaryllis! It’s the best one we’ve grown inside the house so far. The second bud is now starting to open. Beautiful. I don’t think I’ve ever seen a red one before. I think this one is called Red Lion. So well captured you can smell the fragrance Hien! Simply beautiful. Is this in your garden? Thanks! This Amaryllis is growing inside in a pot. Beautiful, such a lovely rich colour! Thank you Emma! 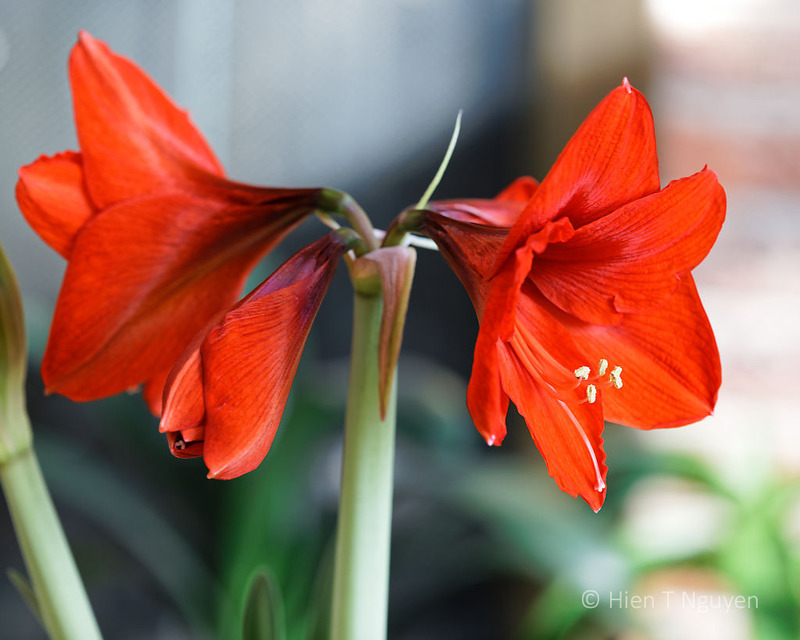 The Amaryllis brings much needed color inside. Love these image, Hien. Such a pretty flower. 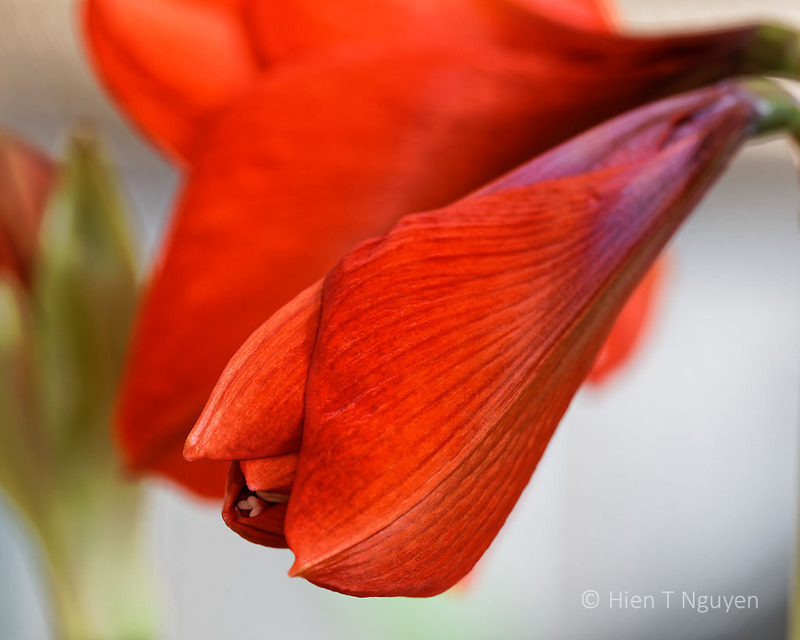 Only one of my in-ground amaryllis bloomed last summer. I have just bought another for Christmas. It looks to have 2flower stalks! Thank you for such lovely photos. Thank you! I have tried growing Amaryllis in-ground but have had no success. They either don’t flower or die out! Your flower images are simply stunning! I love both the details and colors. They’ve opened! – so pretty! Yes they did! One more flower is still at the budding stage.